Topeka Coral will add to the color palate of any garden with its unique shade of coral red blooms standing erect on sturdy 30-32-inch stems. Photographs don't do justice to the impressive bomb-type blooms that appear early in peony season well above the foliage. 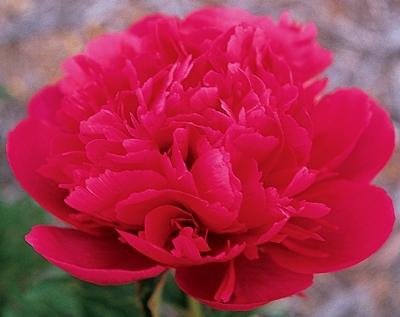 Although developed by breeders Lyman Cousins and Myron Bigger in 1975, this peony is still often hard to find at nurseries.